Most of the winter guests visit the Bregenzerwald to enjoy skiing. 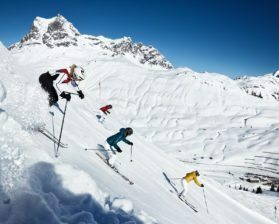 There are plenty activities for those whose winter enjoyment is found away from the piste. 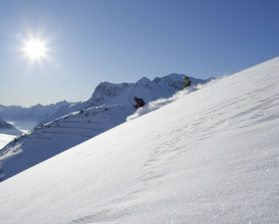 Holiday in the Bregenzerwald Sunday - Thursday* or Thursday - Sunday: the three-valley ski pass for three days' varied skiing. You spend seven nights in the Bregenzerwald and only pay for six nights. Included is furthermore the 6-day 3-valley-ski pass. 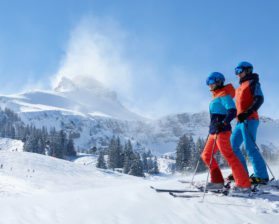 Climb the mountain without a care in the world, weave your way across fantastic deep-snow slopes: the Bregenzerwald offers the perfect pleasure skiing tours, from medium to difficult.